There’s nothing in the world quite like swimming with a magnificent manta ray their natural environment, they are truly majestic creatures. 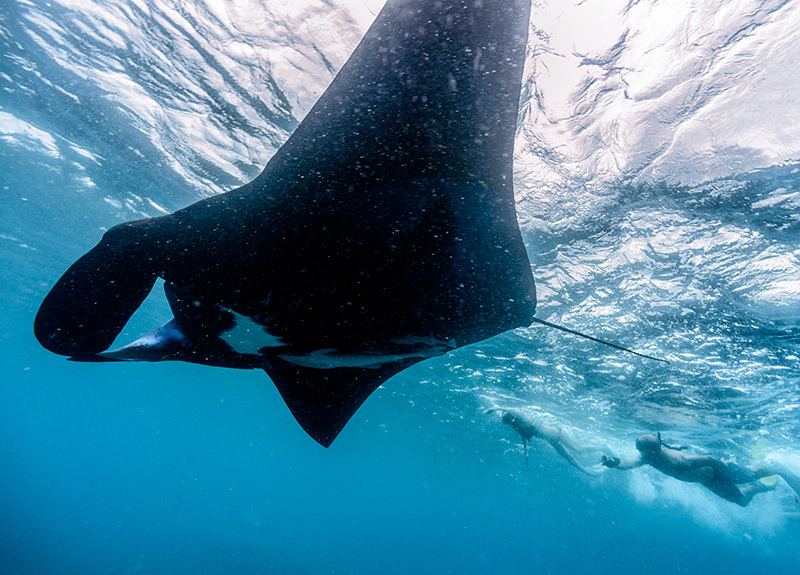 There’s only a few places in the world swimming with Manta Rays is even possible. Mantaray Island is one of those rare places, and is a designated marine park. Fiji wants to do it’s best to protect the ray manta birostris so everybody can enjoy them in their natural environment for years to come. So come and join us on our swimming with manta rays trip. 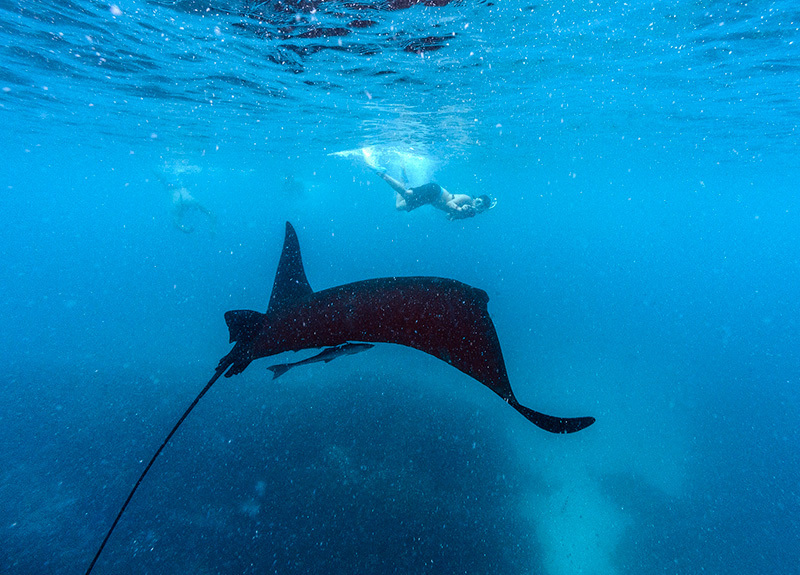 Our season for swimming with the manta rays spans up to six months, from May to October but have been viewed from as early as April until as late as November. Each day during the manta ray season our staff will go to the manta ray channel and look for sightings of the manta rays feeding. Once spotted, they’ll radio back to the island where guests will be notified. If you hear the drums beating you know it’s time to put your swimmers on head to the waiting long boats for the ride of a lifetime. Don’t forget to bring your go pro but leave behind your towels and extra clothing, you won’t be needing it for this trip. 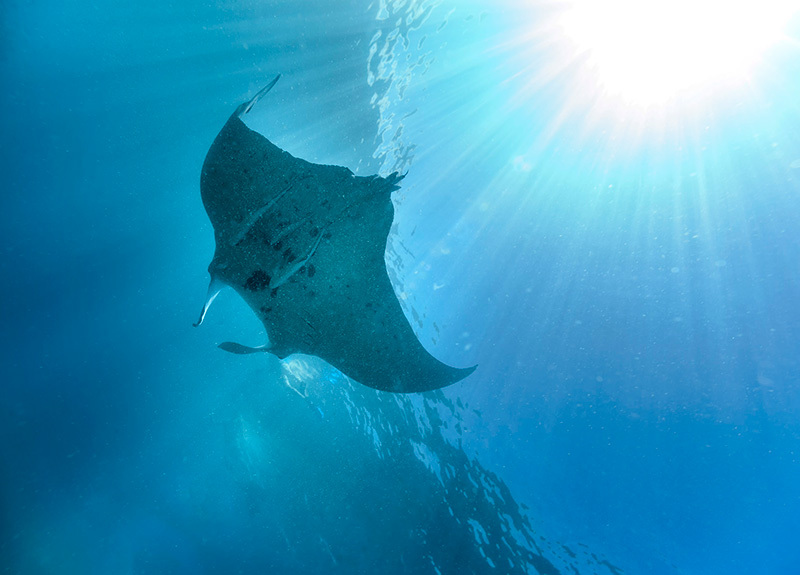 You can expect to see manta ray of all sizes, in large numbers, on a daily basis during the season. Swimming with the manta ray trips operate daily during the manta season and at other times when the manta rays are spotted. In 2009 a large manta ray even turned up on Christmas Day, hung around for Boxing Day, then headed back out to the deep blue waters of the Pacific.